My friend got me a gift direct from Germany. 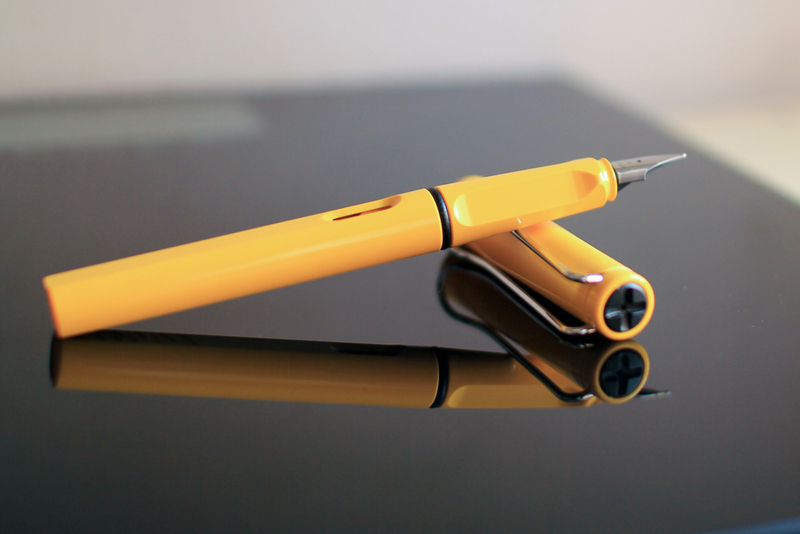 I am now a proud owner of a yellow Lamy Safari. Personally, I found the M nib slightly too wide to my liking. I would probably drop by Fook Hing to get an EF nib. The nib is smooth but the grip section is quite odd to hold. Obviously, I am not holding the pen in the 'right' way. The pen is made of plastic and thus very light in my hand. The price is relatively cheap in Germany and Singapore. Also, the nibs are interchangable and are cheap and available in Singapore. 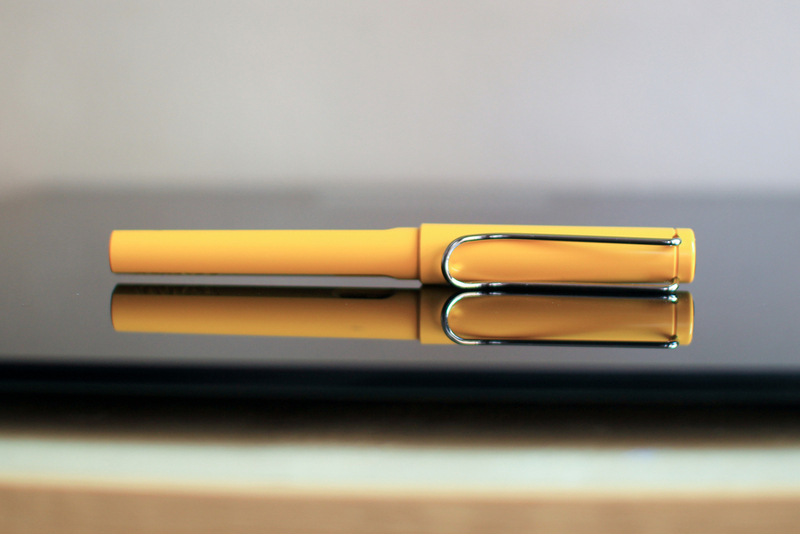 The Lamy Safari takes cartidges and converter. Note that the pen when unposted tended to roll off my desk. Also, it has a convenient ink window to see if my ink level is dropping low.